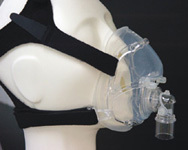 CPAP Full Face Mask offers continue positive airway pressure for treatment of obstructive sleep apnea, a disorder which disrupts a person's breathing during sleep. Silicone cushion are made of soft medical grade silicone material for better seal and for patient's comfort. Double swivel elbow increases the flexibility and comfort for the patient during sleep. 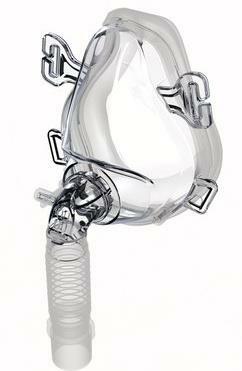 Build in 4.0M pressure port features a)pressure sensing, b)CO2 wash out, c)oxygen supply. 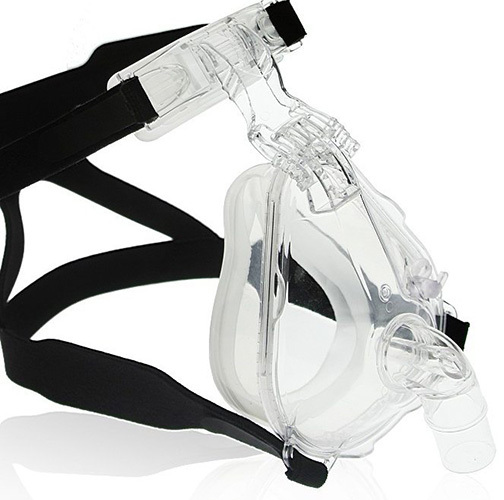 Crown and Easy release strap provides extra stability, eliminated the need for a chin strap, and the easy-release code for one-step removal of headgear. - Material conform to ISO-10993for biocompatibility requirment. - 22M connector for tubing, and 4.0M for pressure sensing, CO2 sensing, and oxygen supply.